Patients undergoing breast surgery at Ysbyty Gwynedd in Bangor are to benefit from new technology thanks to an incredible donation from a charity founded by Mike & Jules Peters. 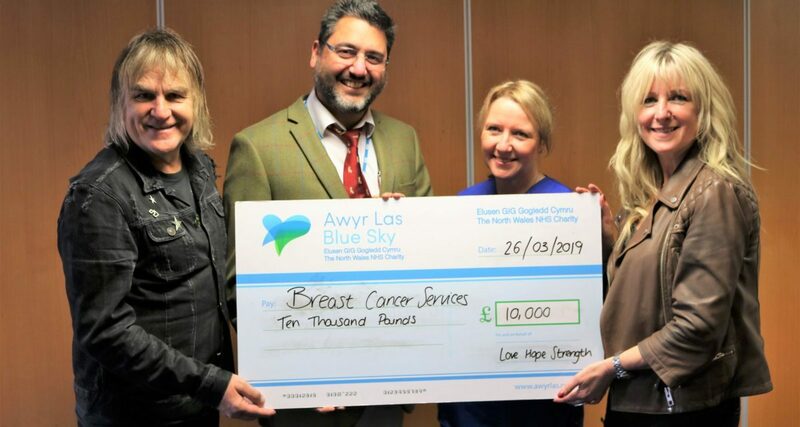 The Alarm frontman and his wife Jules founded the charity, Love Hope Strength, over a decade ago and the recent £10,000 towards breast cancer services in North West Wales is one of a series of donations given by the charity since it was established. The donation will help towards purchasing cancer localisation technology, which will be funded entirely through charitable donations, for breast cancer patients at Ysbyty Gwynedd. The new system will involve inserting a magnetic marker to locate the tumour in the days before surgery. This marker can then be detected by a magnetic probe during the operation, and will guide the surgeon to the tumour reliably and precisely during a breast lumpectomy for impalpable breast cancer. Mr Ilyas Khattak, Consultant Oncoplastic Breast Surgeon at Ysbyty Gwynedd, said: “While some tumours are easy to feel, many – especially the ones detected through breast screening – are not palpable. “We aim to remove the cancer as accurately as possible, so localising it in the breast is very important. 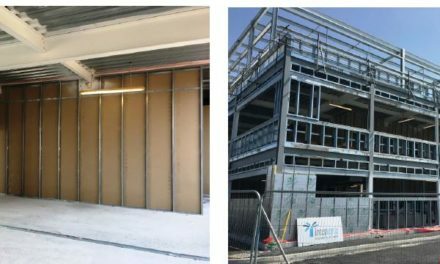 “Currently at Ysbyty Gwynedd we use a guide wire as a marker, which requires a procedure a few hours before the operation. 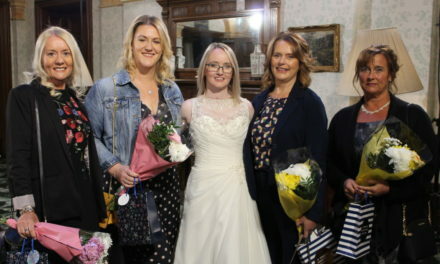 To thank the NHS the mum-of-two has vowed to continue fundraising towards breast cancer services. 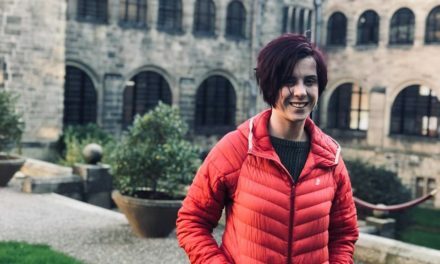 She said: “I was shocked and devastated when I received my diagnosis but I knew when I met Mr Khattak and the team I was in the best of hands. “The whole team gave me the strength and confidence to stay strong through what was a very gruelling journey. 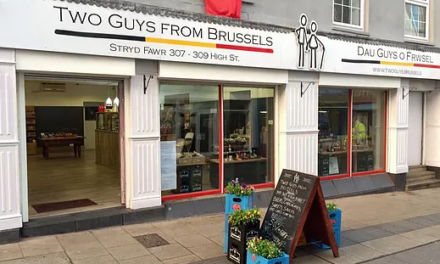 “We are incredibly lucky to have this group of people in North Wales and I feel very passionate about fundraising to help them to continue to improve their service. “I’m thrilled to hear that the funds donated through our Love Hope Strength Foundation will go towards helping other women who are coming into hospital for their breast surgery. The couple helped raise £350,000 towards cancer services through their By Your Side Campaign, which saw them walk across North Wales and organise a number of fundraising events. 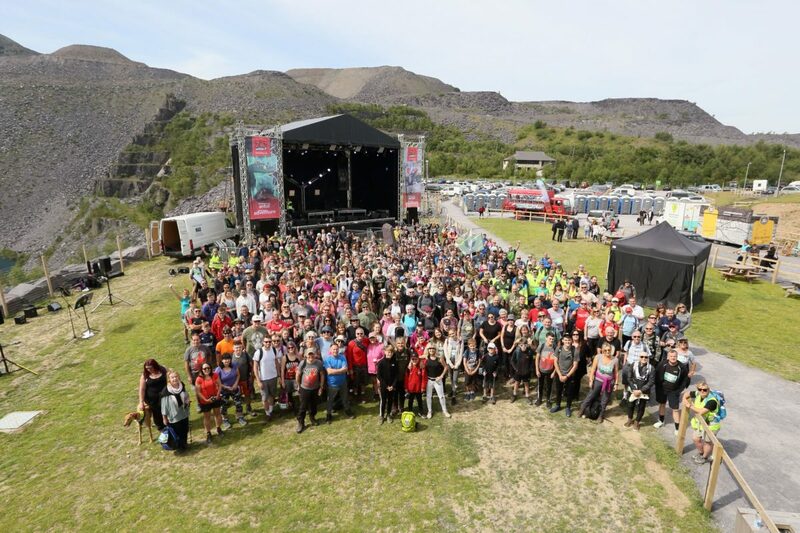 Thanks to incredible support from music fans and local communities, Mike and Jules raised an incredible £25,000 from their first Zip World Rocks event last year which they organised in partnership with Zip World in support of the Love Hope Strength Foundation to help people who have been diagnosed with cancer.